Fought in 1990-91, this conflict saw the largest single deployment of British troops since the Second World War (1939-45). 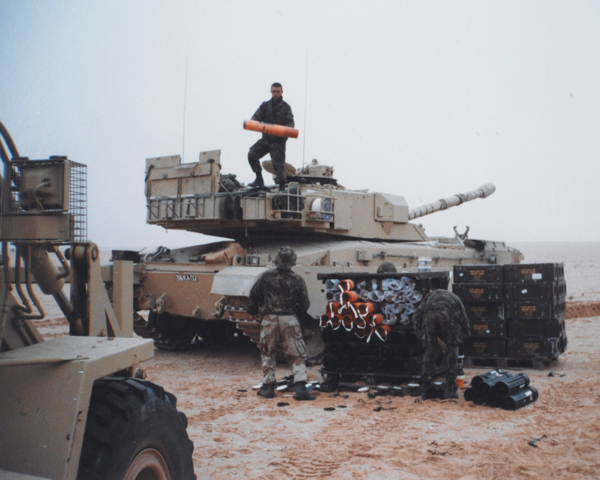 The British Army's contribution to the international coalition force was based upon 1st Armoured Division. 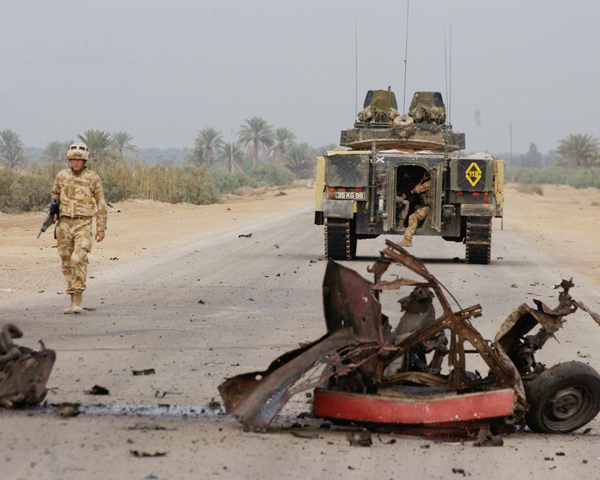 Altogether about 35,000 British servicemen and women with 13,000 vehicles served in the campaign against Iraq. On 2 August 1990 Iraq invaded its neighbour Kuwait after talks on oil production and debt repayment collapsed. Kuwait had originally been part of the Ottoman province of Iraq, but was detached by the British after the First World War (1914-18). Iraq had never recognised Kuwait's independence. 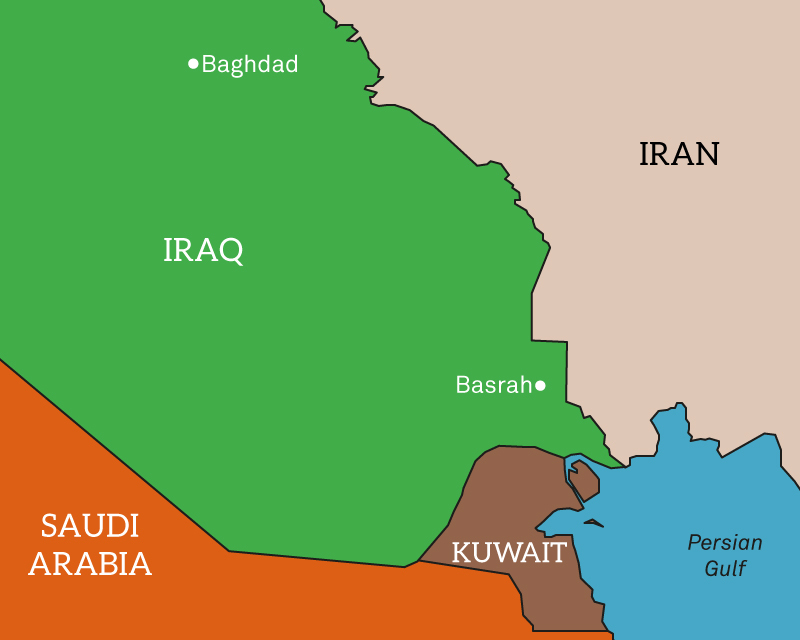 Iraqi president Saddam Hussein annexed it and declared Kuwait the 19th province of the nation. The western powers feared that Iraq would also invade Saudi Arabia and take control of the region's oil supplies. After the United Nations (UN) Security Council imposed economic sanctions against Iraq, US President George Bush called for the creation of a multi-national force to deal with Saddam. President Bush also ordered US troops to protect Saudi Arabia. Operation Desert Shield began with the arrival of 230,000 Americans in Saudi Arabia to take defensive action. After the Iraqis continued their military build-up in Kuwait, Bush ordered an additional 200,000 troops deployed to prepare for offensive action. On 8 November he obtained a UN Security Council resolution setting a 15 January 1991 deadline for Iraq to withdraw unconditionally from Kuwait. 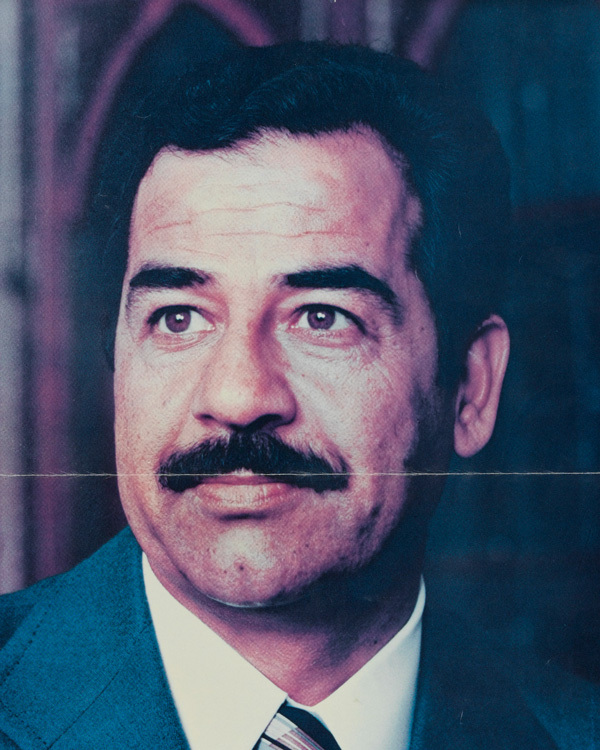 Saddam Hussein refused to withdraw from Kuwait and the UN deadline passed on 15 January 1991. The next day a devastating air assault was launched against military, economic and communication targets in Iraq and Kuwait. The effect of the air campaign was to decimate entire Iraqi divisions that were deployed in the open desert. The air campaign also stopped the Iraqis re-supplying their forward units. 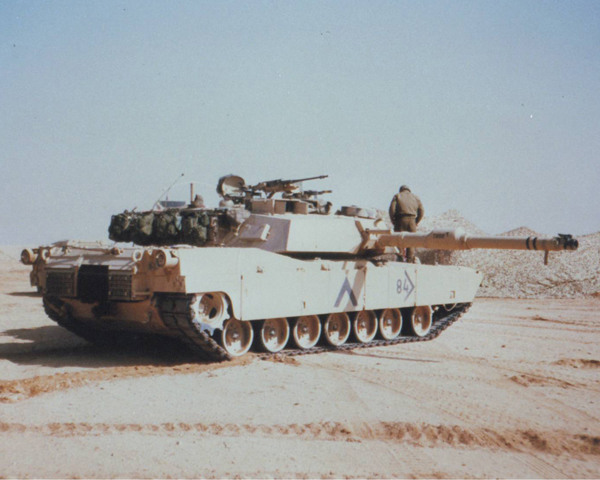 When the ground offensive, Desert Sabre, began on 24 February 1991, the Iraqis were expecting a frontal assault from the south. In fact, the main coalition effort was a wide left flanking attack by forces including 1st Armoured Division. For the cost of 10 men killed, 1st Armoured Division advanced 290km (180 miles) in 66 hours, destroyed the equivalent of three Iraqi armoured divisions and took 7,000 prisoners. Once the allied flanking movement had penetrated deep into Iraqi territory, they turned east, launching a massive attack against the Republican Guard. Tank battles flared as the Guard attempted to retreat. The coalition won with minimal losses. 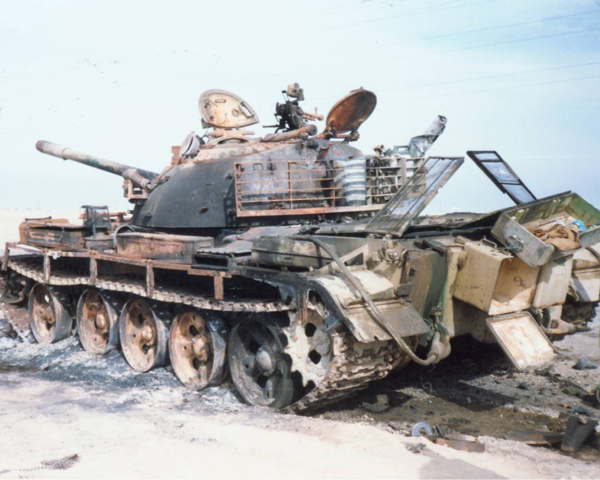 As the flank attack took place, coalition soldiers penetrated deep into Kuwait, collecting thousands of deserting Iraqi troops, demoralized by the air campaign. A few days into the campaign, Kuwait City was recaptured on 26 February. As they retreated, the Iraqi army set fire to over 500 oil wells as a final act of destruction. President Bush declared a ceasefire and on 27 February 1991 informed the world that Kuwait was liberated. On 3 March Iraq agreed to abide by all of the UN resolutions and peace was finally signed on 6 April. 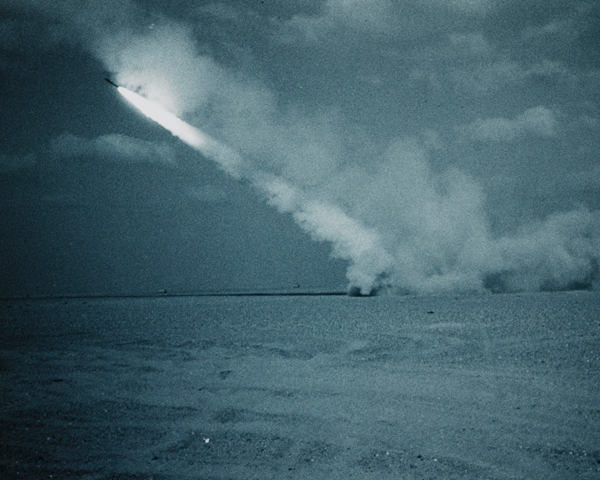 After the outbreak of war, the Iraqis fired scud missiles at Israel in the hopes of drawing it into the war and forcing Arab countries to break with the Americans. 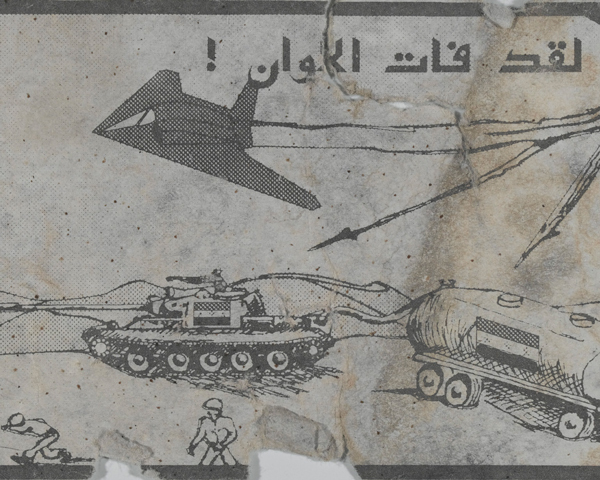 Coalition air strikes were launched against missile sites, but British and American Special Forces were also covertly inserted into western Iraq to aid in the destruction of scuds. However, the lack of adequate terrain for concealment hindered their operations and many of them were killed or captured. 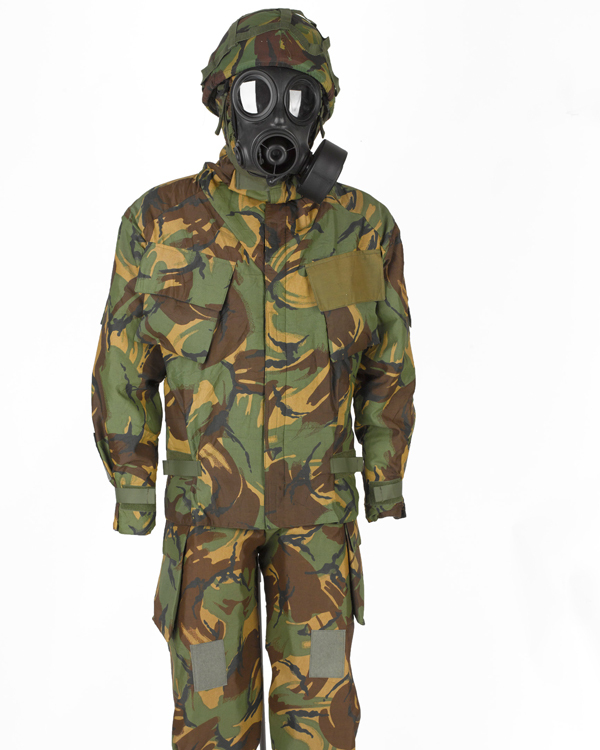 During the conflict there was a constant fear that Saddam Hussein would use his stockpile of chemical weapons against coalition troops. Although this did not occur there were many false alarms. The wearing of NBC suits in hot desert conditions was especially uncomfortable. 'I think it’s overwhelming superior firepower, overwhelming force. I think the war really was the air campaign. The phenomenal beating that Iraq took over the six week air war was phenomenal… the estimation was something like 250,000-300,000 were killed alone in the air war... On an evening you could see the sky just lit up permanently. One flash would finish, another one would come, and over, over again you could feel the buffeting coming over the berms that surrounded our unit'. Although some felt that the US should have pursued the war until Saddam Hussein was overthrown, this was not the purpose of the UN mandate. However, the US had called for popular uprisings against the Baghdad government. These were crushed due to the lack of western support. The US belatedly responded to international pressure and established air-patrolled safe havens in northern Iraq for the Kurds and southern Iraq for the Shia population. The cease-fire agreement required Iraq to end its programs for weapons-of-mass-destruction, recognize Kuwait and return Kuwaiti property. For 12 years Saddam Hussein continued to defy UN resolutions and arms inspections, leading the US government of George W. Bush to again invade Iraq in 2003. During the campaign 345 coalition troops were killed and 1000 wounded. Iraqi casualty figures are not known, but number at least 30,000. Some estimates are as high as 100,000. The huge difference in casualties was due to massive coalition air superiority and technological advantages. For example, coalition tanks could engage and destroy Iraqi tanks from more than three times the distance that Iraqi tanks could engage. The British Army's Challenger tank claimed 300 kills for no losses. One had the distinction of the longest range tank-to-tank kill in military history, destroying an Iraqi tank at a range of 4km (2.5 miles). The later conflict in Iraq in 2003-11 demonstrated how a technologically inferior force could engage a much stronger foe. 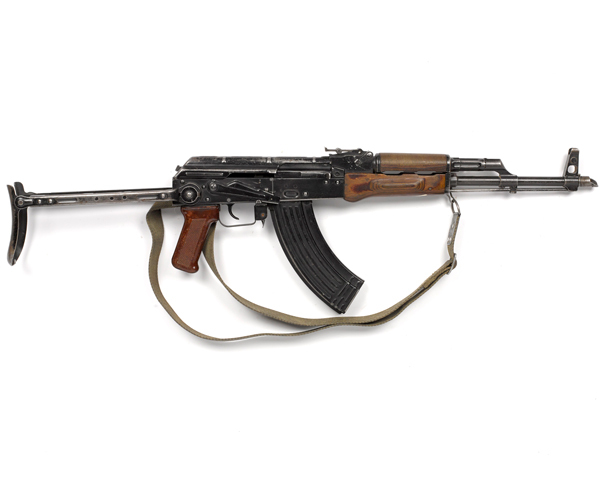 Lightly armed insurgents avoided open warfare. Instead they fought in towns and cities, where they could avoid tanks, artillery and air strikes, while carrying out ambushes and bombings. This blunted the technological advantages of the coalition.